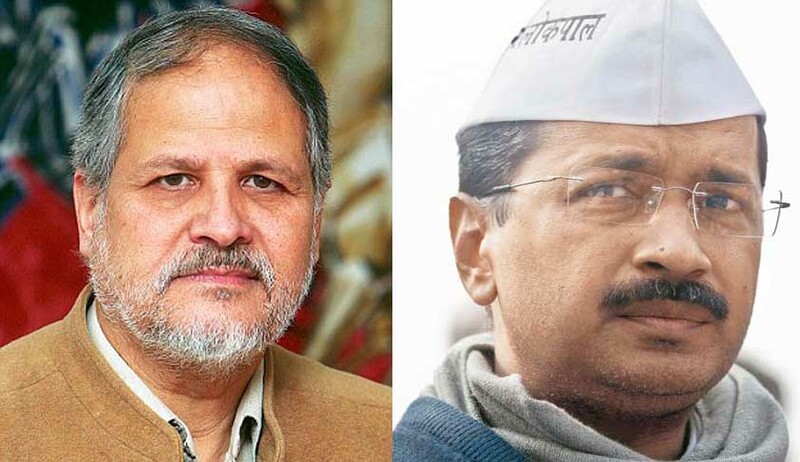 AAP government in Delhi suffered a setback today when the Supreme Court today turned down its plea to restrain the Delhi High Court from pronouncing verdicts on a batch of petitions for determining the powers of the government of Union Territory of Delhi and the Lt Governor Najeeb Jung. “In our considered opinion, when the High Court has heard the petition and reserved judgment, it is advisable that the High Court should pronounce the judgment”, A bench headed by Justice Dipak Misra said. “Why should we tell the High Court that you decide this and don’t decide that…High Court has its own perceptions and authority under the constituency scheme We cannot interfere with the independence of High Courts”, the bench told senior lawyer Indira Jaising who appeared for the Delhi government and vehemently pleaded that only the Supreme Court has the power to adjudicate in a dispute between the centre and a state. Jaising said state had no objection if the HC was deciding only on the jurisdiction but apparently the HC was also going into merits of the case and it had no jurisdiction over it. Justice Misra clearly told Jaising that the state must wait for the verdict of the High Court. “You had gone to the HC and now you wait for its judgment. If you still feel aggrieved the doors of this court is still open for you”, said the bench. It claimed that only the apex court has jurisdiction under the Constitution to deal with issues relating to the powers of States and Centre. The Supreme Court has on May 15 in a very significant decision admitted a petition filed by Delhi’s Kejriwal government--- under Article 131 of the Constitution ---seeking a judicial declaration on the boundaries of the constitutional relationship between the Delhi government and the Centre, in administering the national Capital especially to clearly earmark each of their powers. This is following a sustained conflict between the AAP Government and the Centre through its Governor Najeeb Jungwho have been engaged in an intense power struggle ever since Kejriwal took over the reins of Delhi 15 months ago. Delhi government moved the apex court under a rarely invoked provision - Article 131 of the Constitution - which vests exclusive jurisdiction with the Supreme Court over disputes between states of the Union and between the Union and its states. Emphasising that it wants to ensure that day-to-day lives of people are not affected by the Centre-state conflict, the petition points out that the L-G had unprecedently declared void several orders issued by a democratically-elected government of Delhi. From the appointment of public prosecutors, to the setting up of Commissions of Enquiry to look into instances of corruption and maladministration by public servants, the Union - acting through the Lieutenant Governor - has opposed most executive decisions taken by the government of NCT of Delhi, the Kejriwal government has told apex court. “From the appointment of public prosecutors, to the setting up of Commissions of Enquiry to look into instances of corruption and maladministration by public servants, the Union - acting through the Lieutenant Governor - has opposed most executive decisions taken by the government of NCT of Delhi, it said.